So climate alarmists intend to carbon-tax, legislate and regulate our energy, factories, livelihoods, living standards, liberties and lives to the max. Alexandria Ocasio-Cortez’s Green New Deal would eliminate and replace US fossil fuels by 2030. It’s an unprecedented economic and political power grab. We went to war with King George over far less serious abuses and usurpations. And yet today we seem to have few Patrick Henrys or other stalwart, principled leaders willing to defy this insanity. Those accusing someone of a crime must prove his guilt; the accused need not prove his innocence. But not only are alarmists bringing what amount to criminal charges against fossil fuels; wiping out the fuels that provide over 80% of our energy would bring widespread chaos, poverty, misery, disease and death. As I said just days ago, those who claim fossil fuels and greenhouse gases are causing dangerous global warming and climate change must have the burden of proving their case. Not with allegations, computer models, headlines, mob rule and demands for instant sentencing. With solid, irrefutable evidence. Those who intend to use climate change accusations to disrupt and destroy modern energy systems and industrialized economies likewise have the burden of proving that wind, solar and biofuel energy can actually replace fossil fuels. That they are actually clean, green, renewable and sustainable. Thus far, they have offered no real-world evidence whatsoever. And there is no way they can do so. Fossil fuels are compact and dense. Small land and raw material impacts provide bountiful, affordable, reliable energy. America and the world have enough of these fuels to last at least a century at current rates of consumption – by which time human ingenuity will doubtless provide workable alternatives. By contrast, wind, solar and biofuel energy is dispersed, weather-dependent, expensive and land-intensive. Every industrial wind facility, solar installation and biofuel plantation requires far more land – and far more raw materials – than their energy-generation-equivalent fossil fuel counterparts. Add in backup fossil fuel generators or massive battery arrays, and those impacts become astronomical. 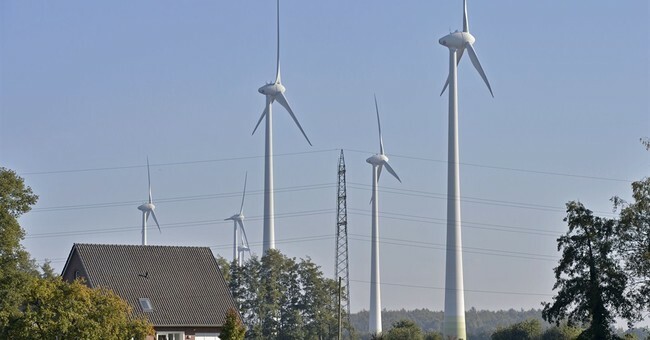 To eliminate our fossil fuel energy – and replace it with these pseudo-renewable systems – we would have to remove tens of billions of tons of rock, to extract billions of tons of ores, to create millions of tons of metals, concrete and other materials, to manufacture and install millions of wind turbines and solar panels, and grow billions of barrels of biofuels. Vast acreage of croplands, wildlife habitats and scenic areas would be torn apart, covered with mining debris and blanketed with “renewable” energy facilities. The same well-funded radical groups also battle mining by Western companies all over the world. That means global raw material supplies will be rapidly depleted … utopian green energy dreams will never become reality … and nations will descend into deprivation, disease, starvation, anarchy and war. To put it simply, so that even Ms. Ocasio-Cortez, Al Gore and House Speaker Nancy Pelosi can understand this energy reality: The wind and sun may be free, green, renewable and sustainable. But the energy, land and materials required to harness and utilize that energy certainly are not. Wind and solar systems also break down faster and must be replaced earlier and more often than coal, gas or nuclear power plants – which have operational life spans of 30-50 years, and generate power about 95% of the time. Wind energy proponents claim turbines last 20-25 years. They don’t. A 2018 UK analysis of 3,000 onshore wind turbines found that they generate electricity efficiently for just 12-15 years (about 25-30% of the time) and generate more than twice as much electricity in their first year than when they are barely 15 years old. So wind turbine raw materials depletion and land use impacts are far higher than advocates have admitted. These realities are no better for solar installations. That also means the cost of wind and solar electricity is far higher than their advocates admit. Those costs may be partially hidden by taxpayer subsidies. But they are real, and punitive. Electricity prices in US states that rely heavily on coal, gas, nuclear or hydroelectric generation hover around 9 cents per kilowatt-hour. In California, Connecticut, New York and other states that oppose these sources and impose hefty “green” energy mandates and feed-in tariffs, prices are twice as high. In Germany and Denmark, families must pay four times as much: 35-37 cents per kWh! Try to run a factory, hospital, school, business, home, city or country on electricity priced at those stratospheric rates. Imagine trying to do so when fossil fuels are driven into oblivion – by the same “environmentalists” who detest and want to eliminate nuclear and hydroelectric power plants. Middle classes are already fleeing California’s and New York’s oppressive taxes, regulations, high energy and housing prices, job destruction, and predominantly Democrat politicians who blame every problem on manmade climate change. Just wait until their states go “100% renewable energy” by 2030 or so. Meanwhile, more rational countries in Asia, Africa and elsewhere are building coal- and gas-fired generating units by the thousands, to power modern, industrialized societies and lift billions more people out of poverty. That means global emissions of plant-fertilizing carbon dioxide will continue to increase – even if climate alarmists succeed with their power plays in the USA, Canada, Europe and elsewhere. It means Asia and Africa could soon outpace many of today’s industrial and economic powerhouses. As to biofuels, how are farmers going to grow enough corn, soybeans, sugar cane and switchgrass to replace the petroleum that radical greens want kept in the ground, if they don’t have modern equipment and fertilizers – which eco-fanatics also despise? Farmers may have to get human “fertilizer” from sewage treatment plants, since many “environmentalists” also demand that we stop raising cows, pigs and chickens … which means farmers won’t even be able to get enough animal manure. One of the latest climate scare stories claims our warming planet will soon drive many insect species to extinction. What are people going to eat, when they can’t even find bugs to dine on? The climate alarmists’ increasingly shrill claims … their refusal to engage climate and energy realists in debate … their escalating efforts to silence us – are proof that they are getting desperate. We need to continue ramping up our efforts – and cajole, embarrass and harangue politicians to show some spine, intestinal fortitude and intelligence, by standing up to the forces of climate dictatorship and darkness. What can the average person do? Speak out. Write letters to editors, legislators, corporate executives and President Trump. Attend town meetings, press briefings, committee hearings and other events. Ask tough questions. Demand evidence to back up alarmist assertions. Above all, bombard politicians, climate activists and media talking heads with the F-word they detest and fear: Facts. Your future, your children’s future, your country’s future, our planet’s future – depend on it.